Welcome! 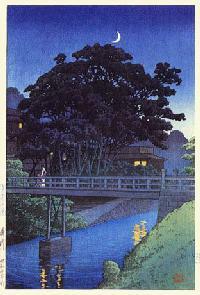 This site is devoted to the needs and interests of serious shin hanga collectors, our members. Our content is created and maintained by the members, for our mutual education and to benefit individual collecting interests. We aim to provide a means for sharing and receiving the best available shin hanga research and information. Click on the Blue links (to the left) to explore your areas of interest. The Black links are for material currently under development, and can be accessed by members. We always have projects underway, and the public areas will continue to grow as material is produced and released. If you're a serious collector and would like to contribute to our developmental material, learn more about membership here. If you're not sure about joining but have some questions, send us an email. website for a closer look!